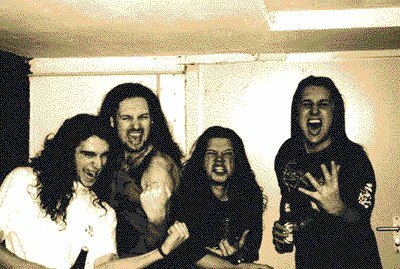 Nembrionic was a Dutch death metal band. They were formed in 1988 in Zaanstad, Netherlands under the name Nembrionic Hammerdeath as a grindcore band; they changed their name to Nembrionic in 1993. The band released three full-lengths on Displeased Records and one full-length together with Osdorp Posse. They split up in 1999. After the release of their full-length debut album Tempter, they played about 30 shows were played to promote the album and a tour with At the Gates and Consolation followed through Switzerland, the Netherlands and Germany. No NEMBRIONIC online videos available. Search and add one now. No NEMBRIONIC music reviews posted yet. No NEMBRIONIC movie reviews posted yet.